I make acrylic paintings that reflect my interests in life, so my subject matter is always different. However, I love doing portraits because it allows me to capture the essence of my subjects. I have not only produced portraits of my family and friends, but sometimes photograph interesting subjects and recreate them in a painting. 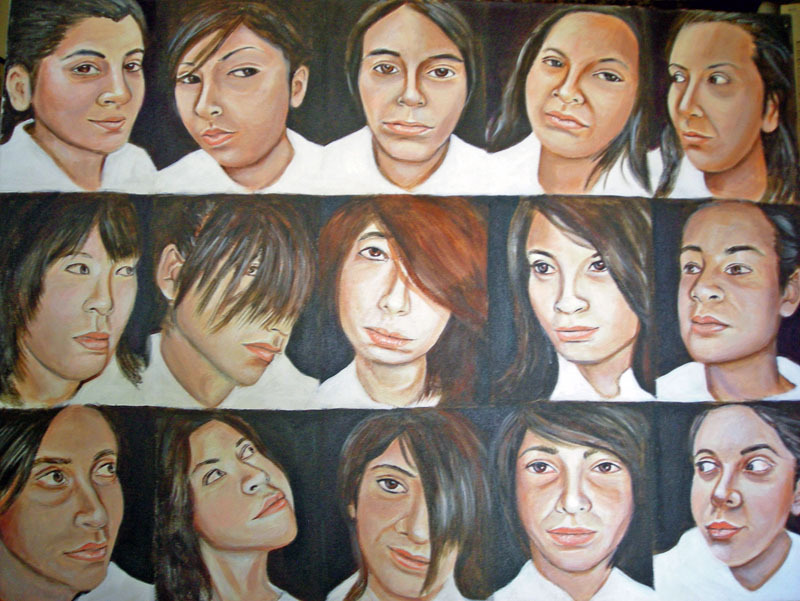 One of my favorite pieces is of my 2009 advanced art students. It contains miniature images of the eighteen students on one canvas. Each of their personalities shines through the paint. I am still working on a series of unique self-portraits. Many years ago a doctor told me that I had deformed big toes since they turned out. 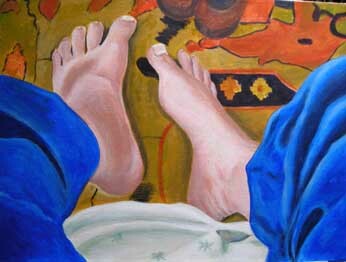 I was fascinated, so I did a painting of my feet. Thus began my “feet self-portraits.” I have taken photographs of my feet in many locations, including the beach at Santa Cruz, and rendered them in acrylics. This is an ongoing project and will continue wherever my feet take me! 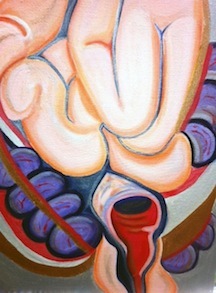 Lately my interest in human anatomy has inspired me to do an abstract series of bodily organs. I distort the images using bright colors and glitter paint. Each image shows the internal beauty of the human body. Ann Storc is a native of Los Angeles. She attended California State University at Los Angeles and received a BA in Art in 1970. Later she earned an MA in Art Education at California State University at Los Angeles, where she was an adjunct professor. She has also been a high school art teacher for forty-four years. 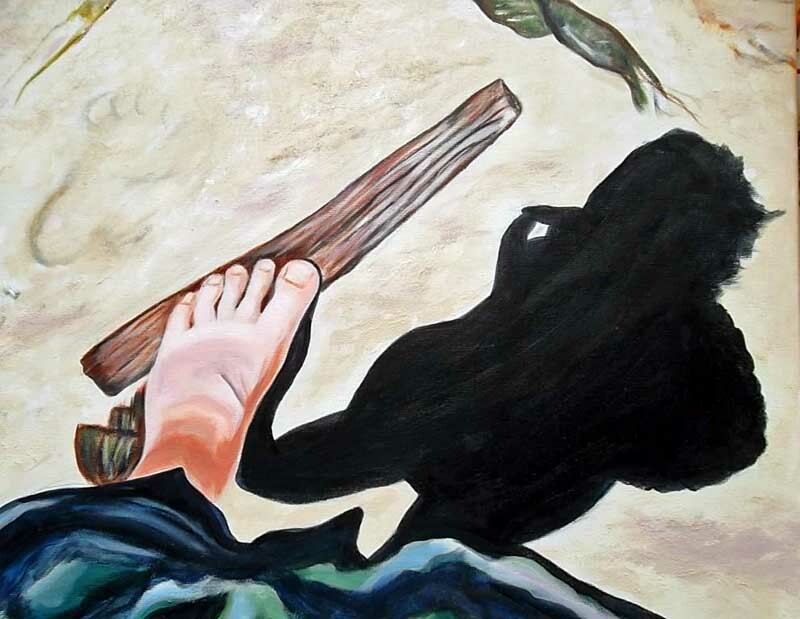 Storc’s work has been exhibited in many venues throughout Los Angeles including Future Gallery, Avenue 50 Studio, 18th street Art Gallery, the Korean Cultural Center and the Nixon Library. She participated in the Portraits of the Fallen Memorial, a project that honors soldiers killed in action. She also had a landscape chosen to be on display at a bus stop for the Bus Stop Art Project for the City of Santa Clarita. She is a member of the Arroyo Arts Collective and the Southern California Women’s Caucus for the Arts.